I've noticed a disturbing trend occurring with software. Until recent months it was largely limited to closed source software such as iOS, but today we see it even in the FOSS world. Users hacking at locked down software just to get the functionality out of it they need. It amazes me that the faithful masses continue to do work for projects that try to undermine them at every turn. Apple users have been doing this for a long time. They buy iPhones, iPads, iPhails and "jail break" them to get around the locks imposed by the creator. 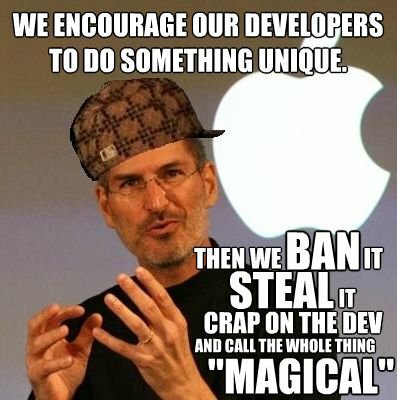 They spend their time creating new an innovative programs, only to have them get rejected and then later stolen by Apple. Something that troubles me greatly is that we have seen similar things start to happen in the world of open source with the releases of the Gnome 3 and Unity desktops. Maybe I am just used to the flexibility the Enlightenment desktop offers, but I am disturbed by the number of "tutorials" and "extensions" I have seen being written for these new desktops just to accomplish basic tasks. I caught a post the other day that detailed all the things the Gnome 3 developers have decided their users no longer need. It is fully within the Gnome/Unity developers rights to make such choices. However it baffles me that their users continue to stick around and write "hacks" instead of moving onto another desktop where their valuable work would be appreciated and could eventually be accepted upstream. Are people so afraid of change they would rather continue to have their ideas treated poorly rather than move on to something different? Last month I did a post detailing Bodhi's desktop of the week contest. If you spent any time poking around the rest of our spiffy new website you will also notice that several other useful pages have appeared. Next is our affiliates page. 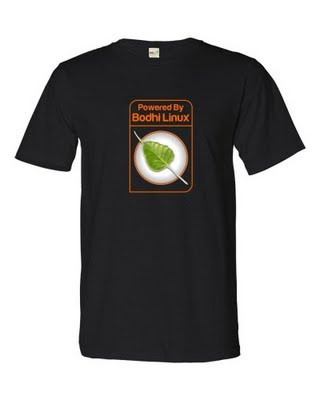 Affiliates are companies that have helped the Bodhi Linux project in one way or another. The first of these affiliates is a small graphics company called Hometown Graphics. They are the ones responsible for the awesome swag items I mentioned above. Not only do they project quality products, but those that run the business use 100% Linux in their work. Finally, I'd like to mention our membership page. We have been fortunate enough at the Bodhi project to receive enough donations for the past few months to fully cover our server costs. A membership is a small way we would like to give back to those that donate to us. 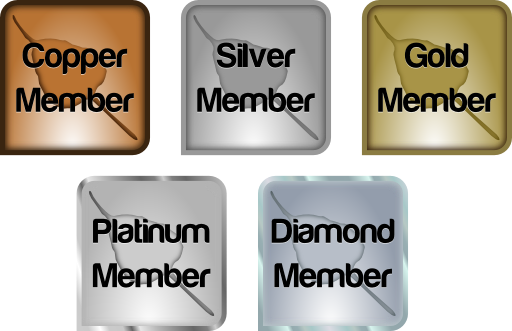 There are various membership "levels" depending on the amount someone donates that range between 15 and 100 USD. Depending on how much a user donates we will provide you with a small thank you gift. 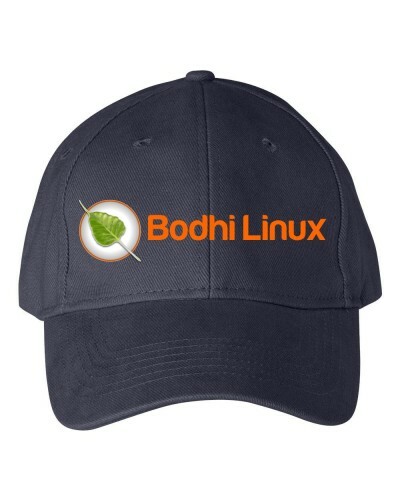 All membership levels also receive a 10% discount at the SWAG store and a 20% discount on the software Bodhi sells. Adobe: Thank you sir. May I have another? If you use Linux on the desktop then odds are you know that getting support from big name companies that produce software is typically difficult at best. They tell us we don't have enough market share, they tell us we have too many different configurations, they tell us there is too much fragmentation to create software for us. Thats fine. Believe whatever lies you want and do as you will - it's your company and your software. You know what isn't fine though? Giving us the impression you are going to provide support and then slapping us in the face later on. Adobe has done just this - not just once, but twice now! In September of last year Adobe announced the release of their preview flash player that supported 64 operating systems of all types - even Linux. Since then there has not been a single up to the Linux 64 bit binary. In fact when going to the Adobe download page you are informed that the only version you can still download is the old version from September for 64 bit Linux. The worst part? Adobe doesn't even have the gall to respond to their users about the lack of updates. 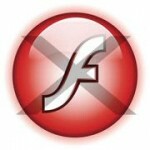 Flash isn't the only thing Adobe plans to screw it's desktop Linux users on though. As of version 2.7 Adobe's Air technology will no longer support desktop Linux. At least the developers at Adobe labs have the spine to tell us the are dropping support for the Linux desktop with Air instead of just leaving us wondering. All in all just another healthy reminder of why closed source technologies are not ones you should come to rely heavily on. At any rate, hopefully more websites will start adopting the more open HTML5 for steaming content in the coming months - making flash less and less relevant. With respect to Adobe Air - we still have java if we want to run slow, cross-platform code. Guess that will have to do for now! Today’s topic of conversation is something I feel fairly strongly about. It is something I have seen happen countless times, both in person and posted various places around the internet. Some semi-tech head (or Windows system admin) downloads this “Linux” thing and decides they are going to boot it up. They don’t look up their hardware online for compatibility, they just pop the disc in and expect everything to work. Now most modern Linux distributions work with a fairly wide range of hardware - so most of these users will install the operating system successfully and move on to setting everything else up. What about those that have hardware that doesn’t work or works poorly without closed source/restricted drivers? They get upset, curse the penguin in their disc drive, call it a crappy operating system, swear to never try it again and then proceed to tell all their friends about the negative experience that will obviously happen with any hardware and Linux. Linux lost a potential user. Next, those users that got the system installed successfully are enjoying themselves and go to play an MP3 file or a flash video. If they selected one of the distributions that comes with restricted/closed source components pre-installed, they will be fine. If they selected a distribution that makes installing such things easy their media is only a few clicks away. Even if they are unlucky and selected a distribution with strong free software values, playing those restricted media files is only a Google search and a few commands away (at most). What about those that didn’t do any of the above and expected all of their media to “just work”? They get upset, curse the penguin on their hard drive, call it a crappy operating system, swear to never try it again and then proceed to tell all their friends about the negative experience that will obviously happen with any media file and Linux. Linux lost a potential user. Finally those users that made it through all the hurdles listed above have been using their Linux box for a week - things are going well. Then they find an application online they would like to use that is fully cross platform. They find the download link with the penguin above it and download the file provided. If they are lucky the package they downloaded is the same type as what works with their package manager. If it is, they will install the software and go along their happy way. What about those that got a “.tar.gz”, “.bin” or “.sh” file download? They get upset, curse the penguin on their hard drive, call it a crappy operating system, swear to never try it again and then proceed to tell all their friends about the negative experience that will obviously happen with installing any program in Linux. Linux lost a potential user. Yes, all of the above could be avoided if users would simply RTFM. You know what, though? I’ve found most of those manuals users are being directed to are not written for users. Yes, all of the above could be avoided if users would simply ask for help in a chat room/forum. You know what, though? I’ve been in more than a few chat rooms and seen more than a couple message board posts where new users were treated poorly for a simple question they had. “Can’t you use Google?” is never an acceptable answer folks (and its one I think most all of us are guilty of giving at one point or another). Ultimately the best solution for getting Linux into the hands of someone new and having it provide a positive experience is the proper setup and configuration of the operating system by someone that knows what they are doing. Ninety percent of Linux distributions that exist can be easily used by just about anyone when properly configured and presented with a couple minutes of explanation to the new user. 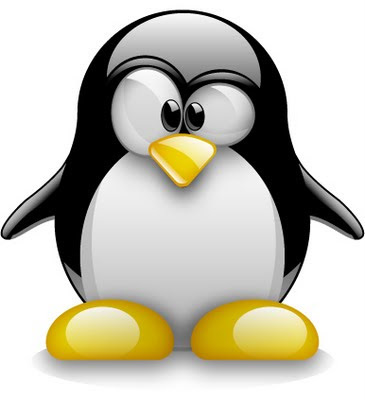 Just like Windows or OSX anyone can use Linux in 2011, but not everyone can install Linux. What is your take on this subject? Am I fairly on target here or completely missing my point? "not just a window manager for Linux/X11 and others, but also a whole suite of libraries to help you create beautiful user interfaces with much less work than doing it the old fashioned way and fighting with traditional toolkits, not to mention a traditional window manager." Terminology is something that is important to get correct when working with technology. When reading about the Enlightenment desktop I've found that many people often confuse the difference between Enlightenment, DR17 and EFLs. So - what is the difference between the three? Enlightenment - This is the original name of the project. Today when it is referenced it should refer to the project as a whole - not just one particular part. DR17 - Also often called E17. This refers to the next major revision of the Enlightenment desktop/window manager. It is under heavy development (and has been for some time). 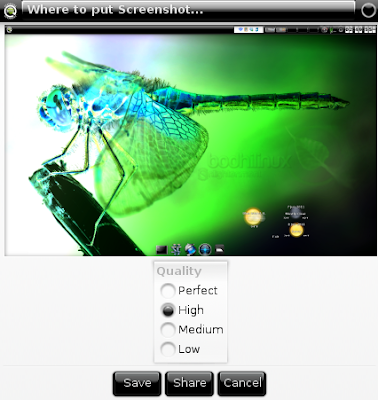 The current stable revision of the desktop is DR16. EFLs - Stands for "Enlightenment Foundation Libraries". These are the core of the Enlightenment desktop, but not the desktop itself. In simplest terms the EFLs are to the Enlightenment desktop as GTK is to Gnome and QT is to KDE. 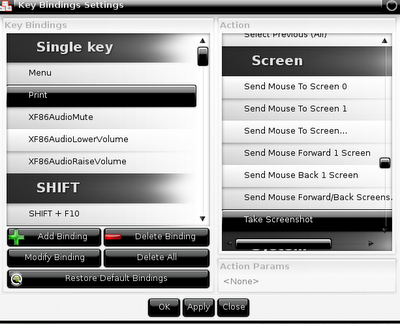 Something I have had Enlightenment users ask about a few times now is how to take a screen shot. 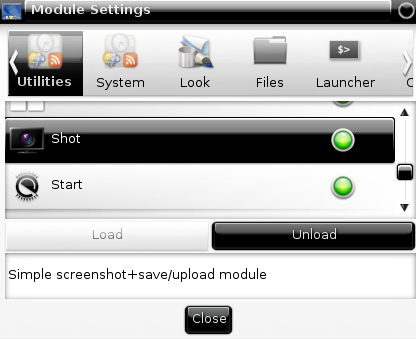 There are GUI tools such as Shutter or CLI tools such as emprint you can install, but you no longer have to! If you are using a current SVN revision of Enlightenment (built within the last week) you now have a super easy way to take and share screen shots of your Enlightenment desktop! Finally - remember that if you get some interesting screen shots you should be submitting them for the Bodhi desktop of the week contest! I have been frequenting Linux message boards and chat rooms for several years now. During my time spent in these places I would estimate that 95% of the issues I have helped people with (and seen posted) are related to the installation and setup of the operating system. This comes largely from the fact that most of the computers you can buy come with Windows by default. The experienced Linux user knows that they need to research their hardware before forking out their hard earned money for something that might not work too well with their favorite operating system. Where does that leave those that don't know which hardware they should be looking for or don't feel like spending time searching for Linux-friendly hardware setups? Well - purchasing a computer with Linux pre-installed on it of course! There are a few different places that sell computers pre-loaded with Linux and today I would like to mention one that is fairly new to the scene - BluSphere. BluSphere is a community focused, open source company that only sells computers with Linux installed on them. They have a focus on mobility as well so they currently only sell laptop and tablet systems. Their more powerful "BluBook Pro" sports an i7 processor, an nVidia GTX 560m graphics card and starts with 8gig of RAM. That should be enough to keep most gamers happy (and it reminds me that it is about time I replace my older Sager Notebook). For non-gamers they also sell a "BlueBook" that has a sleek 1" form factor. Finally they also sell a small android tablet called "Physix" which sports a 1ghz processor and 512meg of RAM. One of the reasons I like BluSphere (and am giving them this small plug) is because they give 5% of the profits on every notebook they sell back to open source projects. Now even if you don't care for Ubuntu (Or Unity) the best thing about buying a Linux pre-installed system is that you know all the hardware is supported by the kernel. Meaning with a small bit of work you should be able to get your Linux flavor of choice up and running on it (plus BluSphere doesn't use Linux unfriendly hardware like ATI and Broadcom).